SMP: Internationally referred to as Scalp Micro Pigmentation. SMP ( NPM-HFS ) is a technique that utilizes special organic pigments to color the dermal layer of the scalp. After the coloring is complete, the look and feel will be similar to hair follicles. Baldness, alopecia areata, thin hair, scars from hair planting/accidents can be resolved in just a few hours, achieving a hair thickening effect in each hair loss area. SMP instantly produces a hair thickening effect on the top of the head, without leaving scars or needing further maintenance or care. The effect will be undifferentiable from a skinhead. Scalp micropigmentation in Singapore, also known as SMP in short, is an increasingly popular hair loss treatment solution for those suffering from a number of conditions, including androgenic alopecia, which is the most common form of hair loss affecting both men and women. During your Scalp Micropigmentation treatment in any Scalp Technology Clinic in Singapore, our highly-trained technicians will apply organic charcoal pigments into the scalp that will offer an exact hair follicle replication. By a careful application of a number of different shades, delivered at different depths and angles, the result is highly realistic and undetectable. So, you must be anxious about what can Scalp micropigmentation in Singapore do… and what it can’t do? Many clients are keen to opt for Scalp micropigmentation in Singapore because there are zero medical complications or risks. Hair transplant in Singapore is a surgical procedure that takes hair follicles from a ‘donor’ site and transfers them to recipient areas where hair loss has occurred. There are a number of potential risks with any surgical procedure. Hair loss medications also have a number of possible side effects you must consider before embarking on a treatment program of medication. Moreover, Hair transplant Singapore cost is considered quite on a higher side than other non-invasive and non-surgical procedures like Scalp micropigmentation in Singapore. Alopecia areata is a hair loss condition that is characterized by small round patches of hair loss on the scalp. This is an auto-immune condition with no known cure and it is hard to predict the progression of the hair fall. Sometimes the hair loss can resolve itself and sometimes it can reoccur in different patches of the scalp. 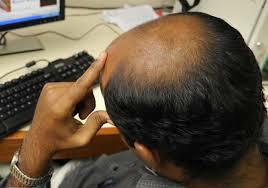 For some extreme sufferers it can progress to total loss of hair on the scalp. 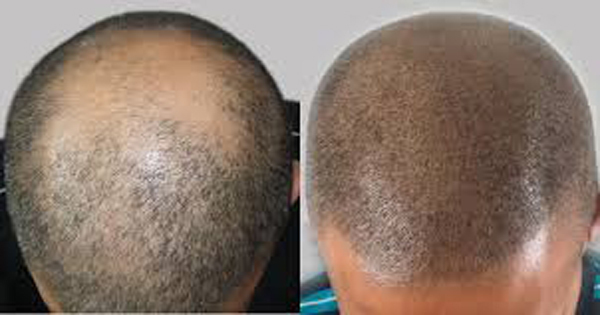 Scalp micropigmentation in Singapore can be effectively used to camouflage such type of hair loss, either by density treatment to the individual areas or by covering the whole scalp with a buzz-cut simulation. Scalp Technology Clinic in Singapore are specialized in providing density treatments to replicate your hairline with a nearly-real simulated look. Most of us will have a scar or two on our scalp where hair no longer grows due to permanent damage to the hair follicles. For the majority of us, we remain often unaware about them as they are covered by our hair. However, if someone has started to experience hair thinning or loss, then scars can suddenly become noticeable and can be disturbing as well. Scalp micropigmentation in Singapore is an effective alternative treatment which can hide scars permanently with their specialized natural charcoal pigments. However, Scalp micropigmentation in Singapore cannot restore or replace your hair follicles so they start producing hair where there has been hair loss. It is only a cosmetic procedure, offered by Scalp Technology Clinic in Singapore as a leading SMP provider in Asia. Being an affordable, effective and permanent solution, people can compare its effectiveness with hair transplant Singapore cost, and adopt this process for the best result with a buzz cut look.